ICEERS in collaboration with Beckley Foundation have been conducting a longitudinal, observational research project to assess the impact of ayahuasca on well-being and emotional symptomatology in visitors of the ayahuasca center Temple of the Way of Light. The Temple of the Way of Light is one of the major centers in Peru, offering workshops to over 800 visitors a year from around the world. This study enrolled more tan 500 participants who have attended an average of 8 ayahuasca ceremonies during the workshop at the center. Assessments were done 15 days before the workshop at baseline, and 1, 3, 6 and 12 months after the workshop. Results will be compared with a waiting-list control group. This presentation will share preliminary results of the data we collected so far, with a special focus on ayahuasca’s effects on grief and post-traumatic stress disorder. 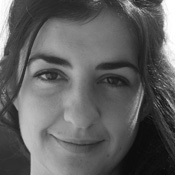 Débora González, Ph.D., studied pharmacology at the Universitat Autonoma de Barcelona. She is co-author of several scientific papers and book chapters about ayahuasca, 2C-B, Salvia divinorum and research chemicals. Aside of the longitudinal study on the long-term effects of ayahuasca on well-being and health of Western users, she is currently conducting a research project on the therapeutic potential of ayahuasca in grief with ICEERS and a pilot study of the transpersonal treatment for complicated grief, involving holotropic breathwork and ayahuasca as therapeutic tools, with PHI Association.